Daughter caught this lady on our screen, and I'm not sure what kind it is. 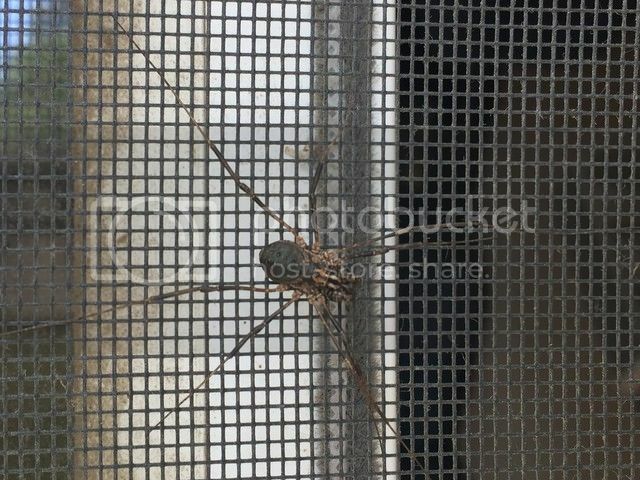 Something new, or at least a little different, than the grass and wolf spiders we typically see walking or screens. Nevermind. Got home to see it in person, and a quick search through some arachnid sites and we discovered we have a Harvestman. Could this be a Lampshade Weaver Spider?